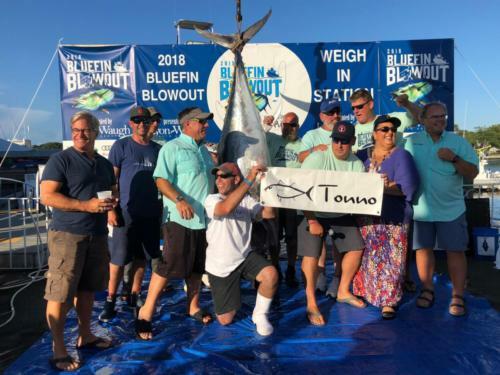 The 2019 Bluefin Blowout marks 8 years for us! 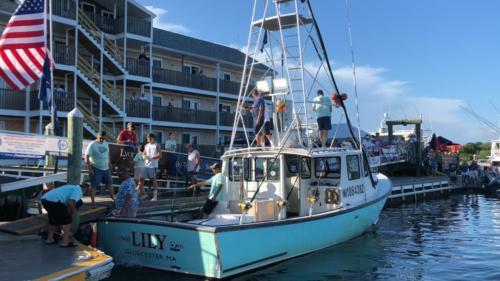 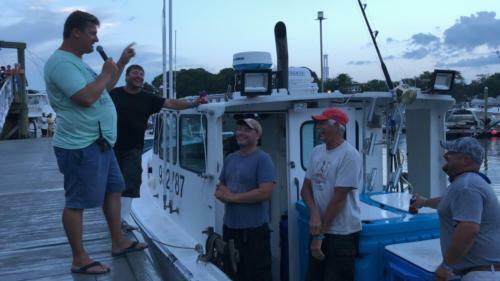 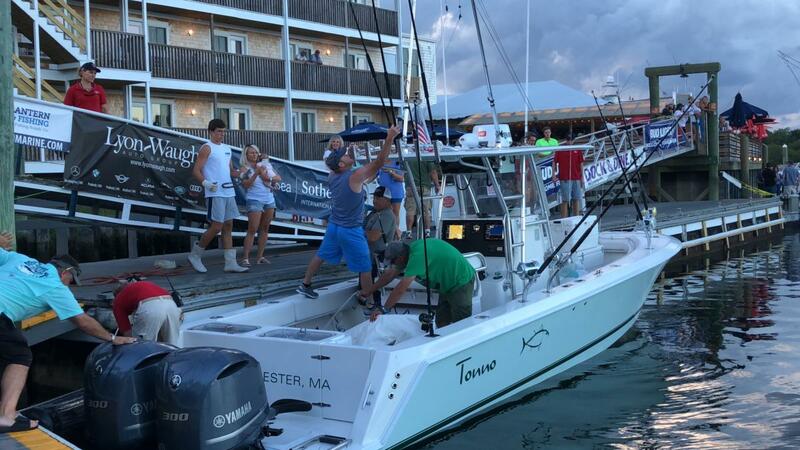 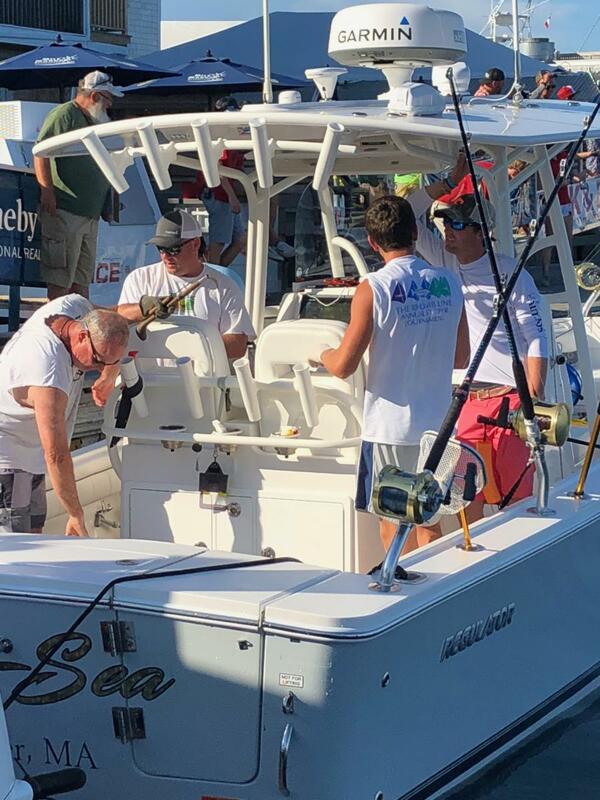 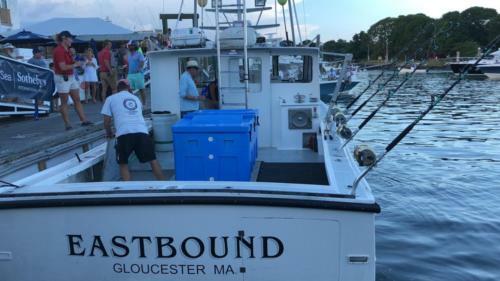 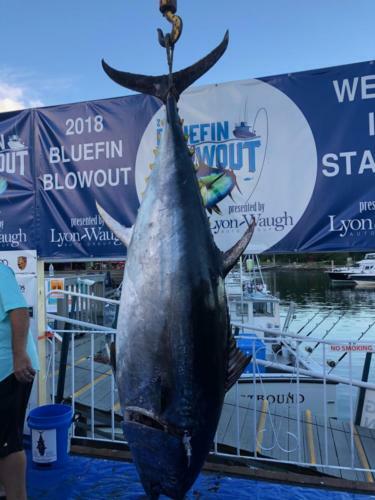 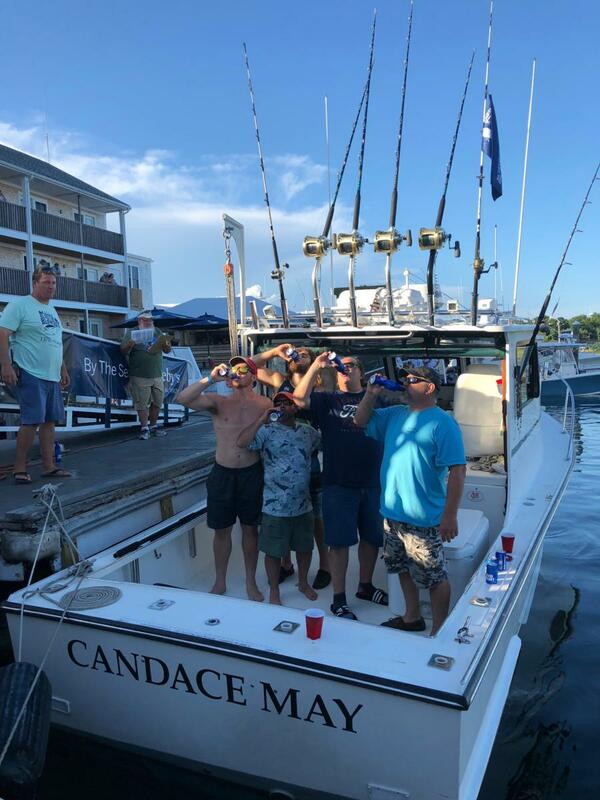 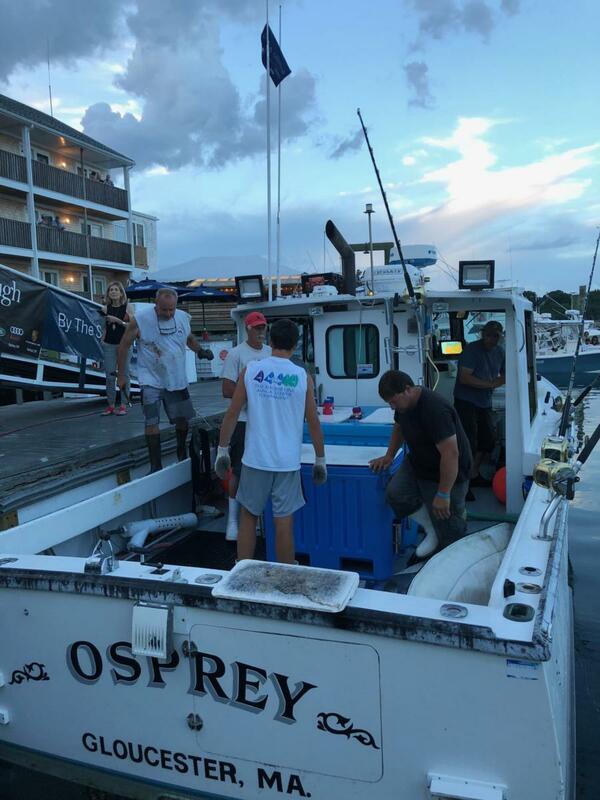 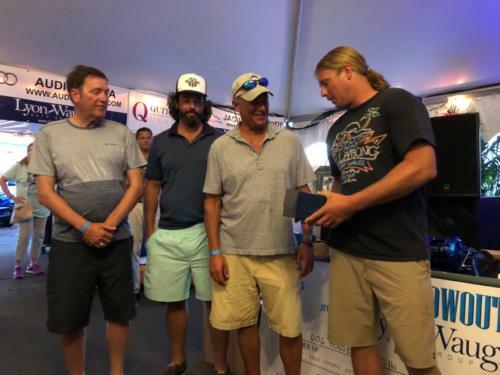 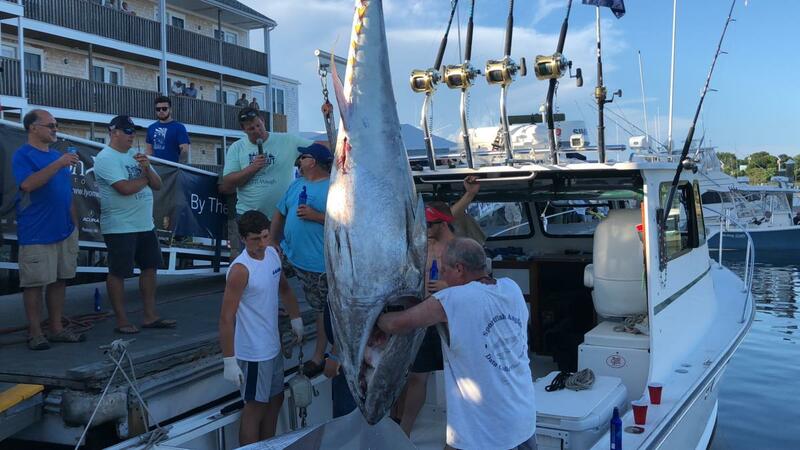 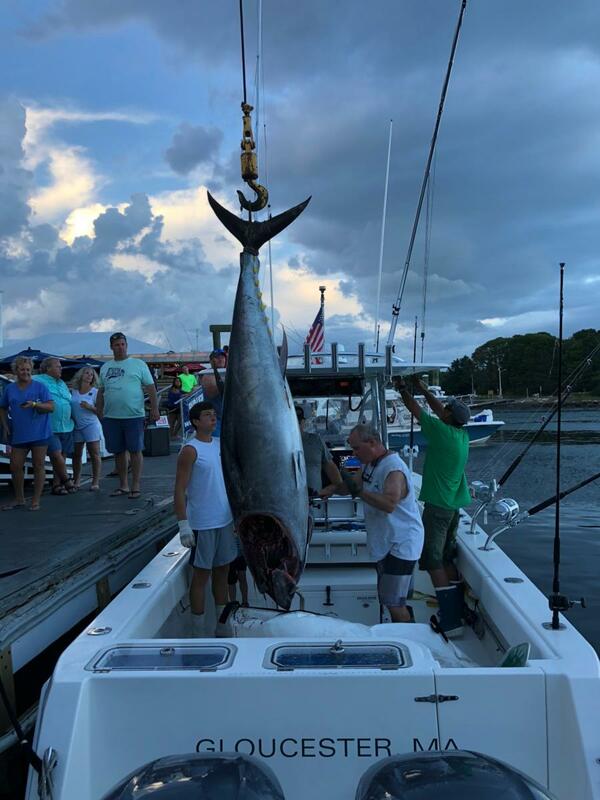 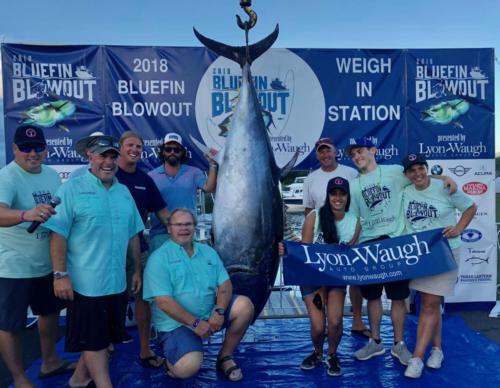 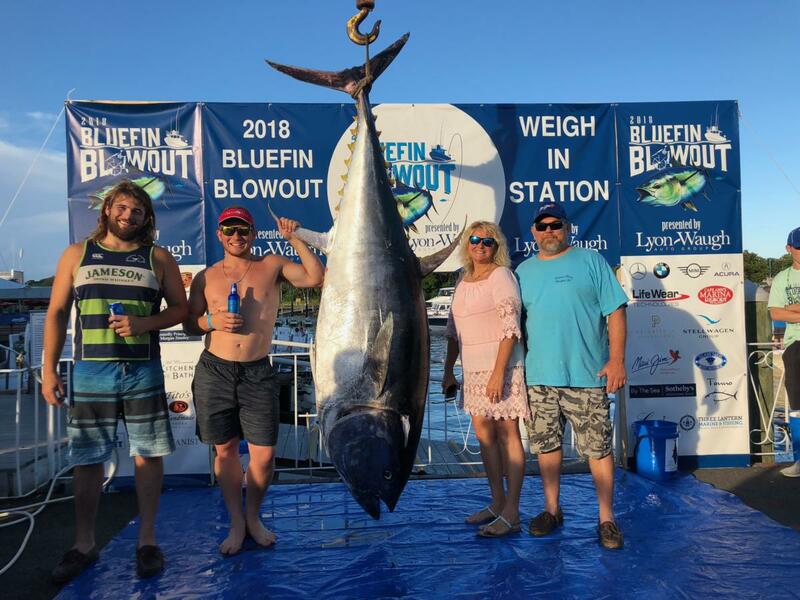 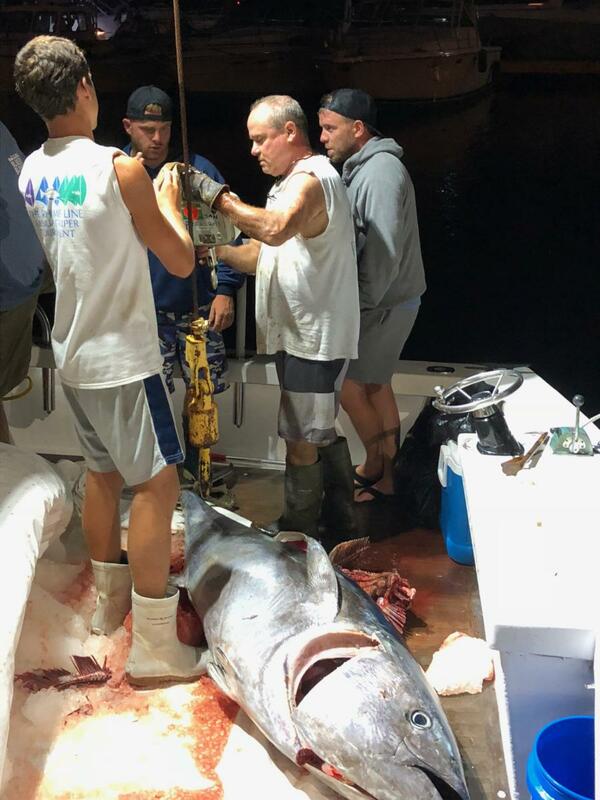 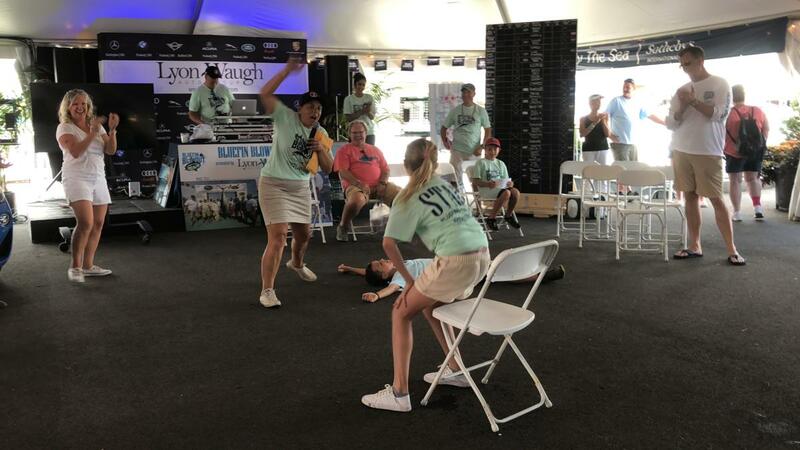 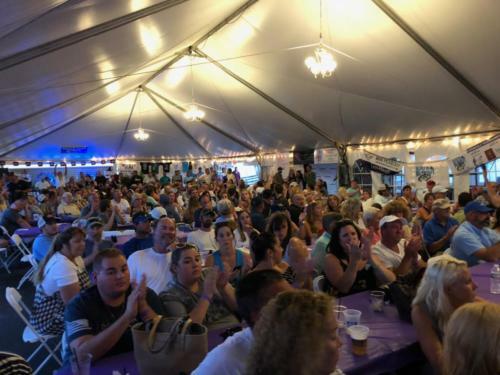 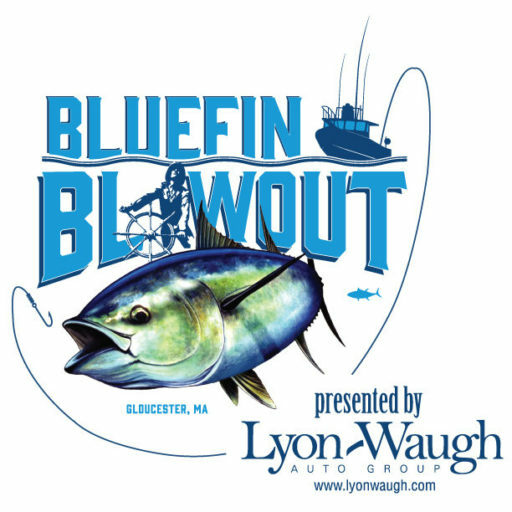 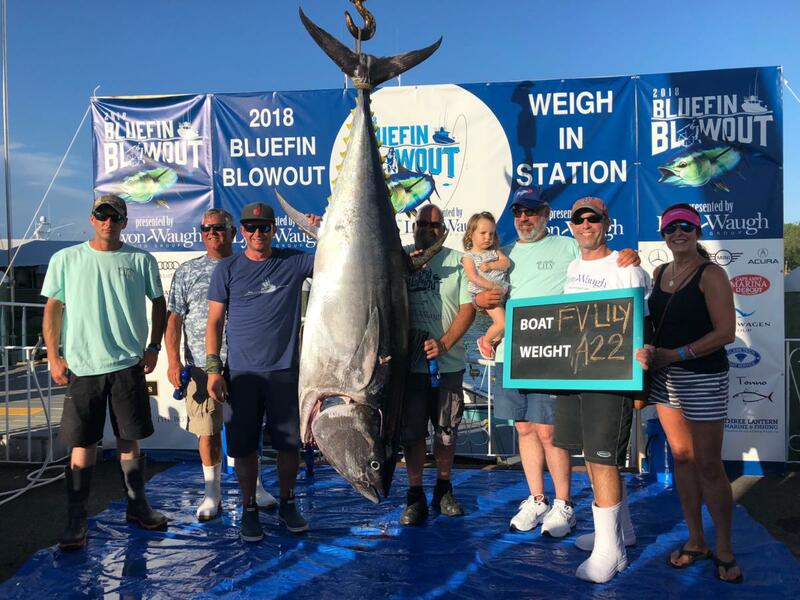 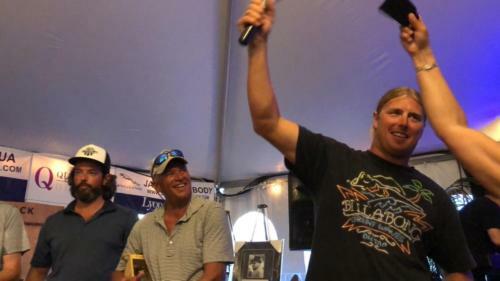 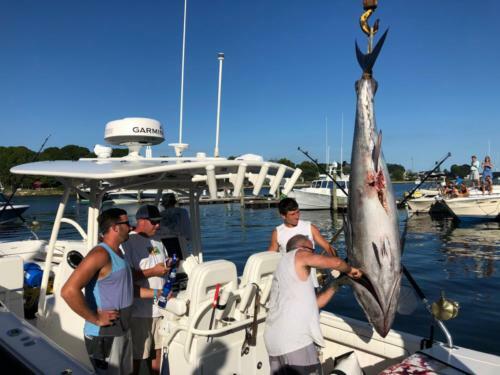 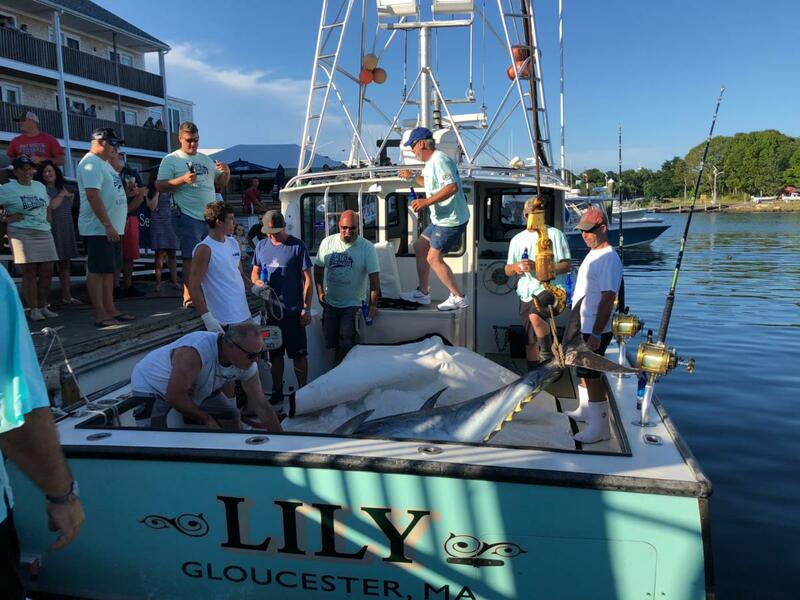 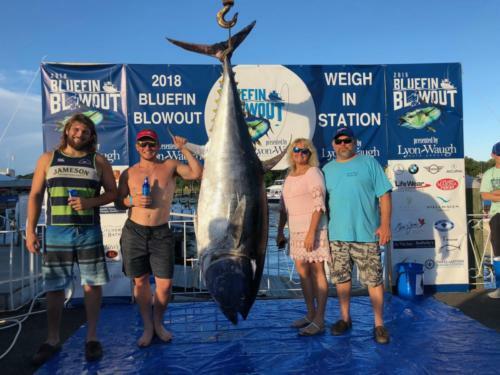 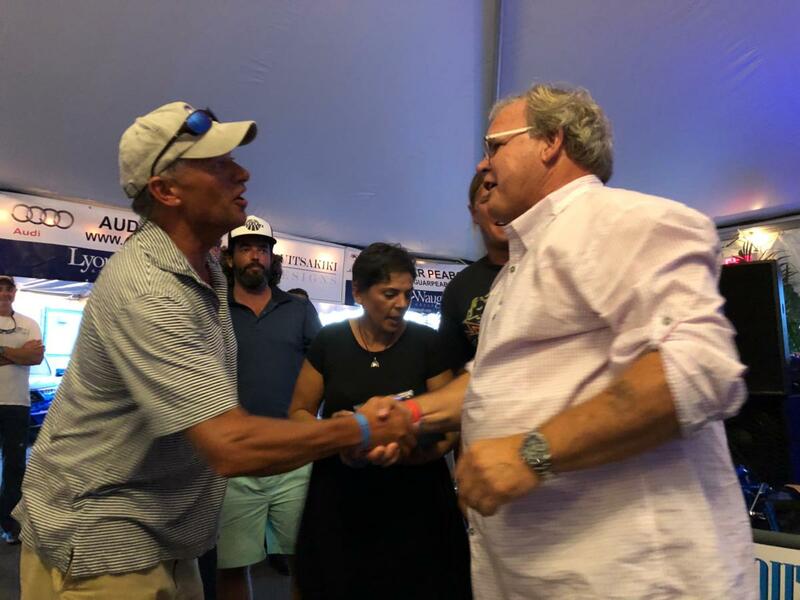 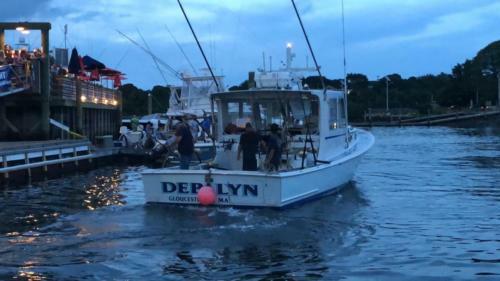 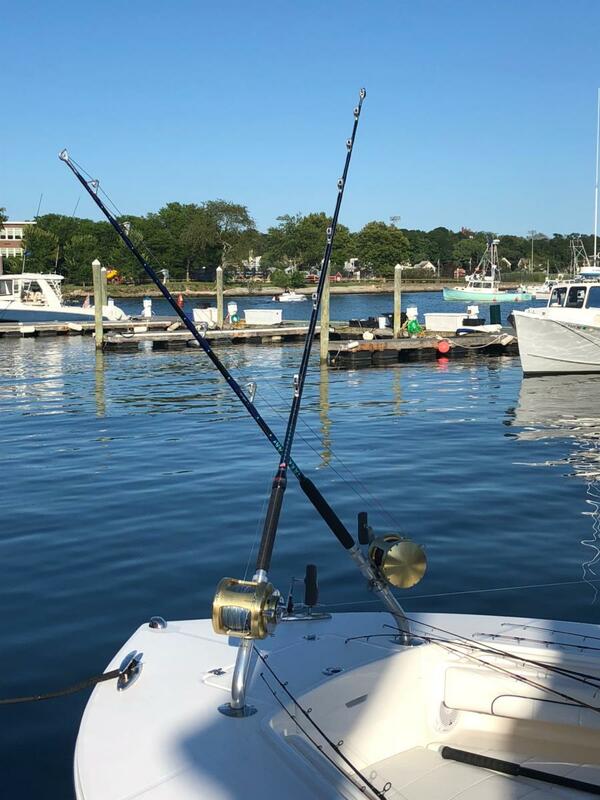 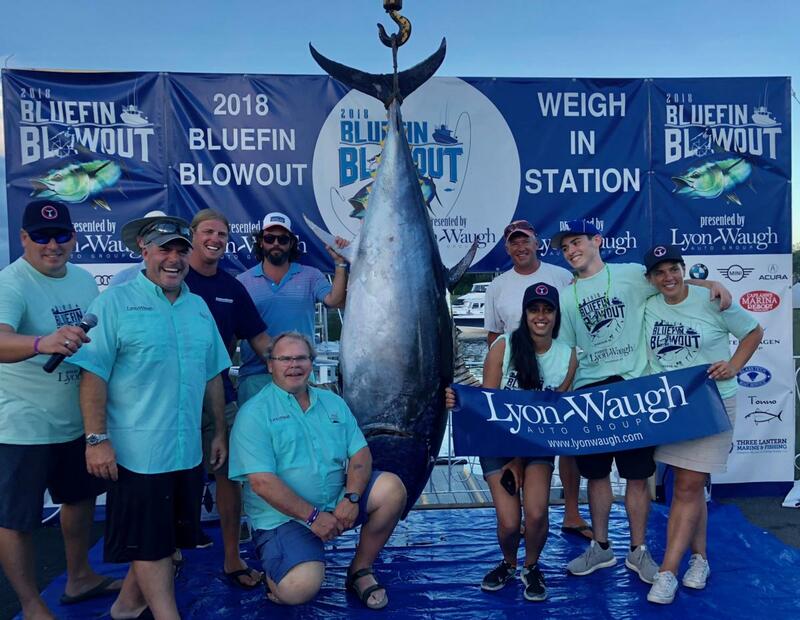 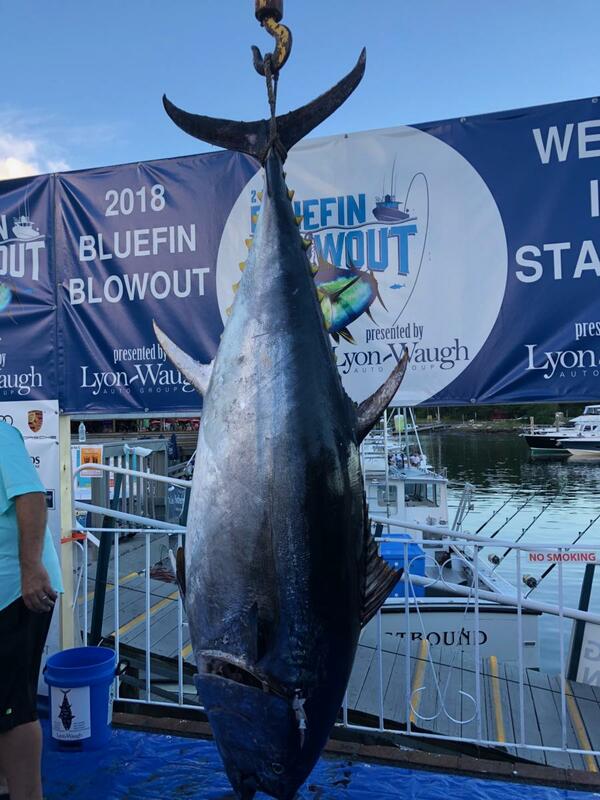 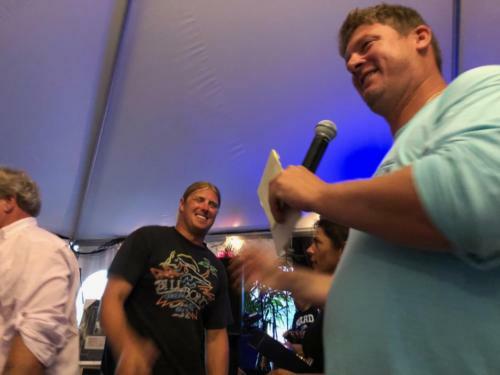 The Bluefin Blowout, benefiting the Alzheimer’s Association, is New England’s premier giant bluefin tuna tournament presented by the Lyon-Waugh Auto Group, and hosted by Cape Ann’s Marina Resort in the historic fishing port of Gloucester, MA! 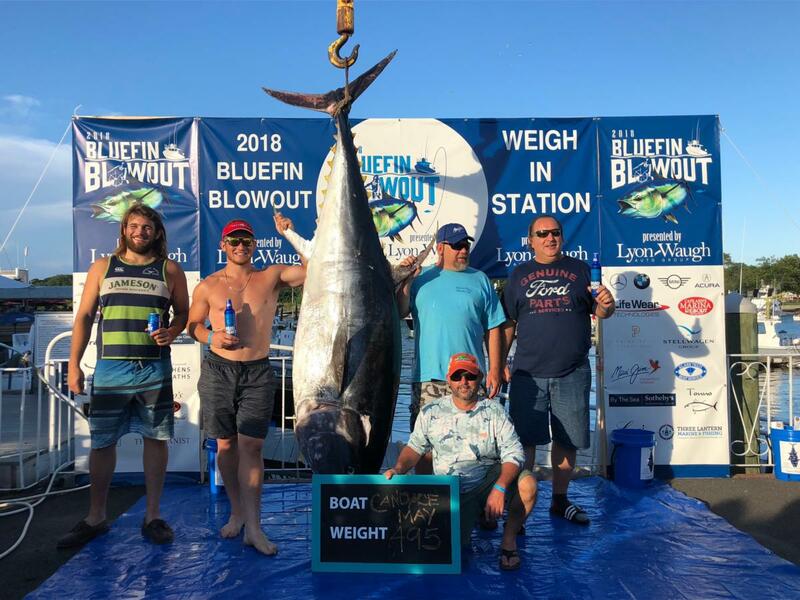 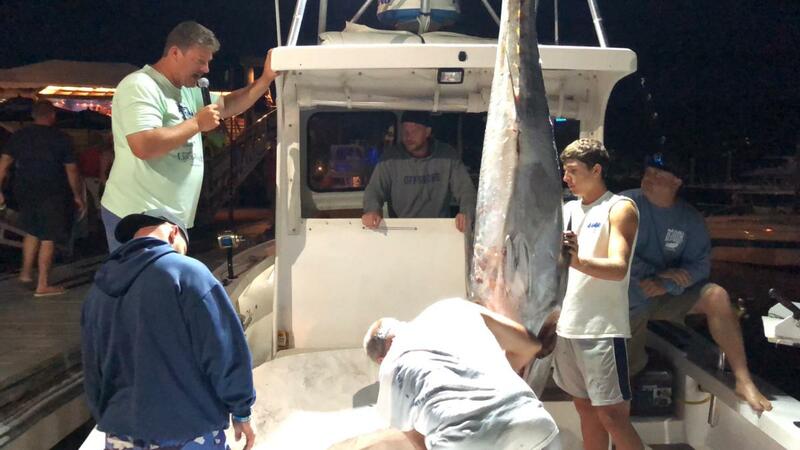 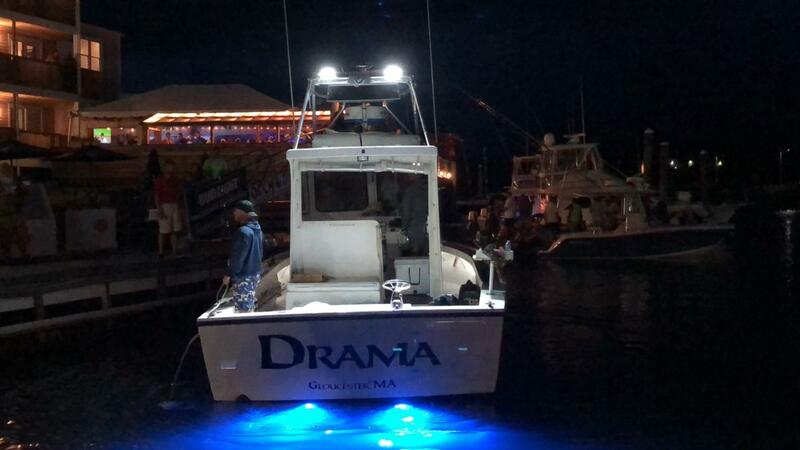 Showcased on the National Geographic’s hit series “Wicked Tuna,” the Bluefin Blowout draws some of the best giant tuna fishermen on the east coast competing in two long days of fishing to take home over $40,000 in cash, jackpots, and prizes along with the coveted Bluefin Blowout Trophy! We invite everyone to enjoy the giant weigh-in station, vendors, tournament tent, live music and entertainment. 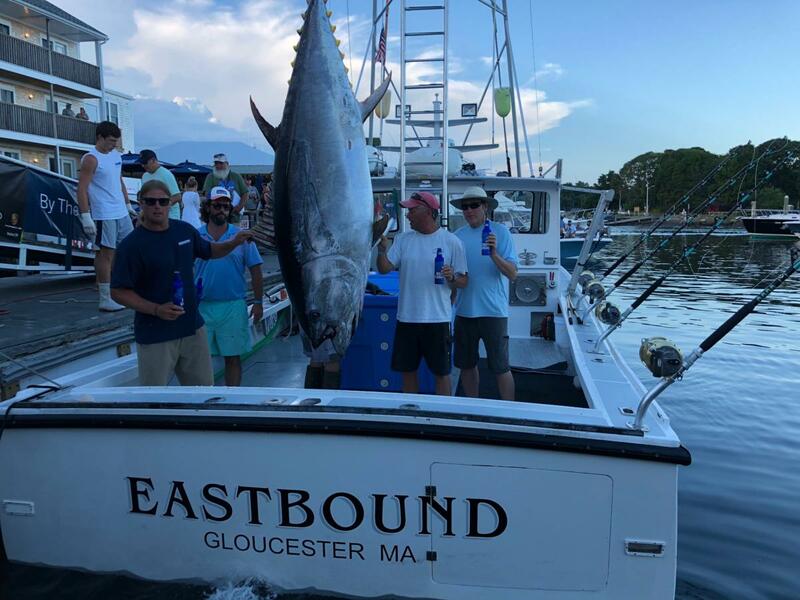 Be sure to follow us on Facebook and Instagram for more updated information on the tournament and come celebrate the fishery of the magnificent bluefin tuna in true tournament fashion as the best of the best battle the giants of the ocean! 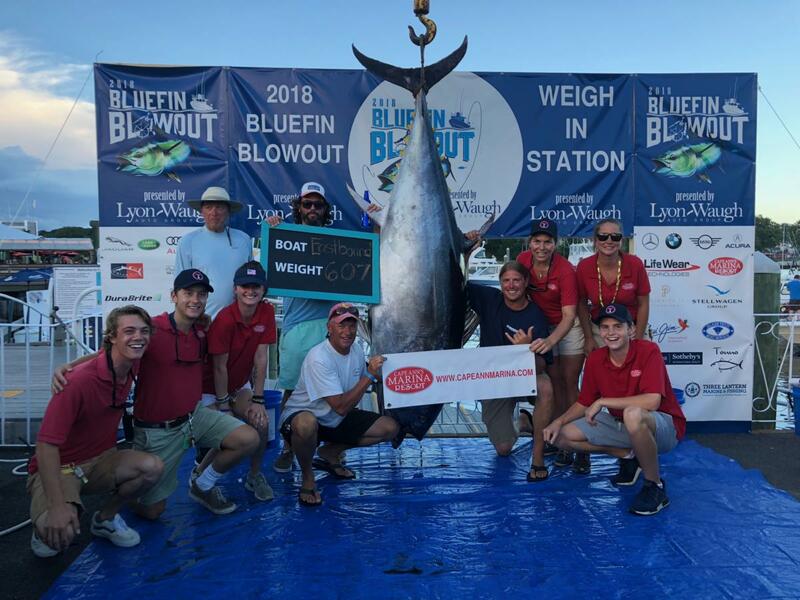 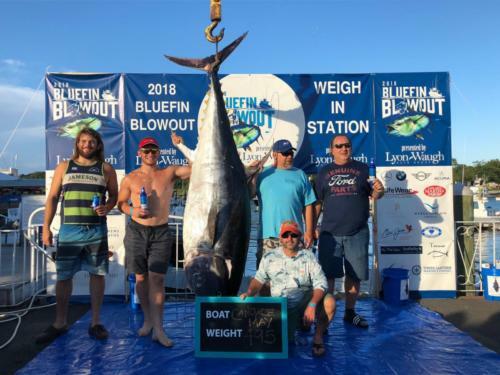 The 2019 Bluefin Blowout will offer select vendor displays, a catered Captain’s Dinner, raffles, a silent auction, and cash prizes! 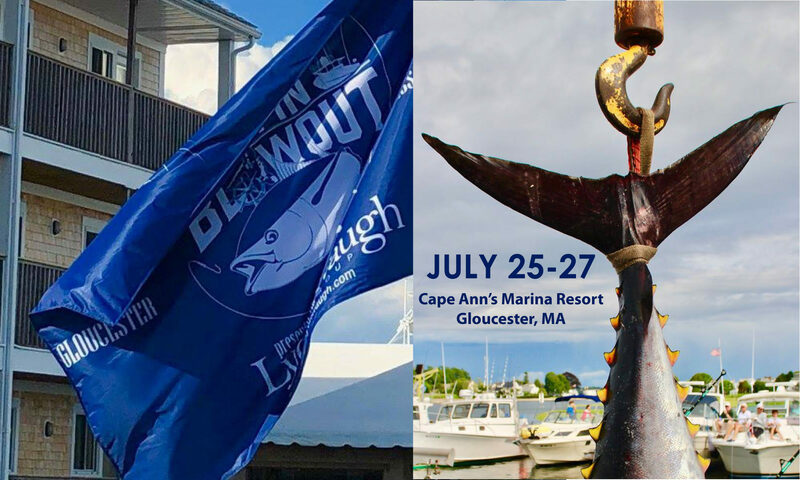 Come witness this tournament and some of the best giant tuna fishing in the world is showcased in America’s Oldest Seaport!